Aimed at the “serious” modeller, but promising not to take itself too seriously, the magazine set out to provide a forum for those modellers who wished to progress beyond what was on offer from the ready to run manufacturers, whilst also providing a good read for interested observers. The instigators drew upon the experiences and models of a small group of “up and coming” modellers of the time, Monty Wells, Barry Norman and Iain Rice to name but three, in addition to revisiting the work of some of the hobby’s “past masters”. 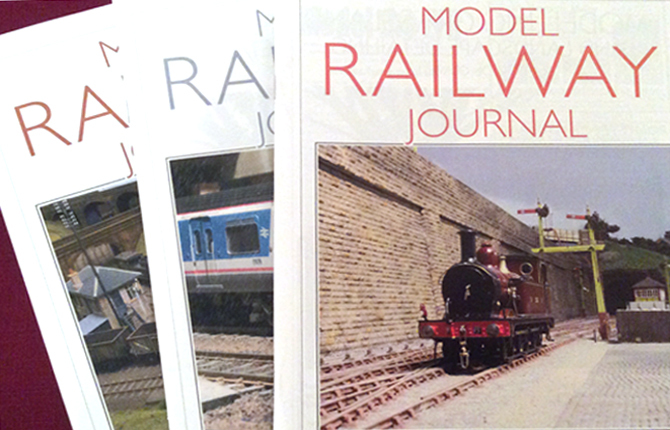 Model Railway Journal continues, inspiring modellers who seek to improve their art, showcasing the best of British modelling, conducting measured debates about matters of glorious inconsequence and sometimes frustrating us in the pursuit of fidelity to prototype that borders on the insane. Never afraid to say what it thinks, thought provoking and always written in English, it is consistently one of the very the best reads to be found on the newstands.